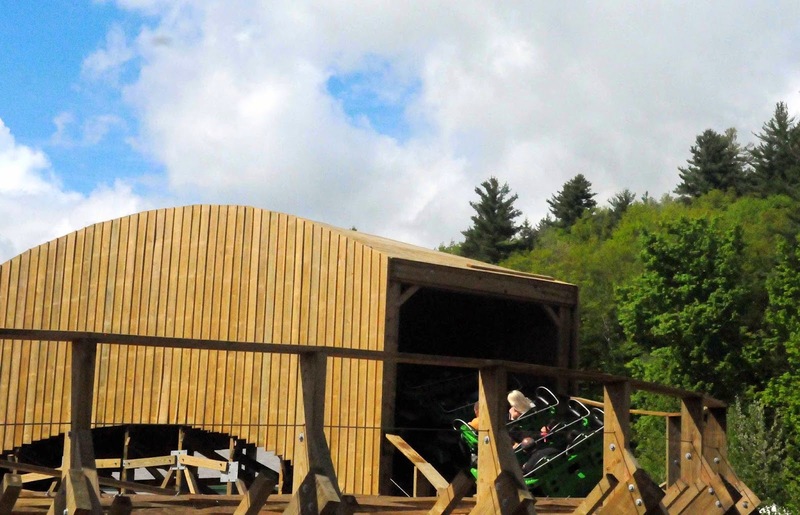 This is the final part of our trip to Story Land in beautiful Glen New Hampshire. In case you missed it, here is Part One. 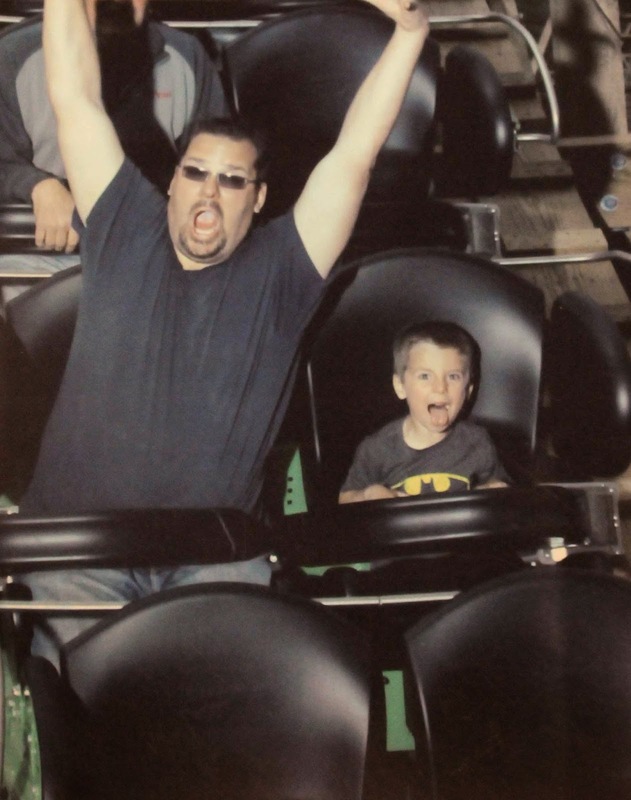 Eric Dziedzic, General Manager of Story Land, has an interesting tale about changing from an over ambitious dad into a cool dad, in just a few coaster rides. after this ride, Ryan was ready to go again and again. He was the first boy to get on Roar-O-Saurus. It sure helps when you can make those pouty looks to your mom, who then tells the General Manager to take care of it. Compared to the Midwest, the backdrop for Roar-O-Saurus is stunning. As you can tell from the rain coats, precipitation was on and off all day, which is why some of the videos were done under cover, in the conference room. 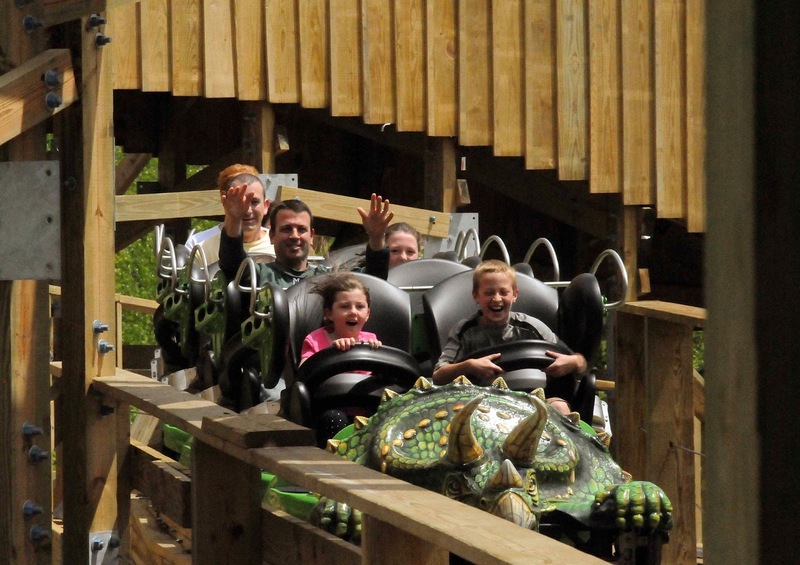 Twisting past the 38.5 foot first drop, another group of riders is magically transformed into Roar-O-Saurus groupies. This happened all day long, with or without rain. 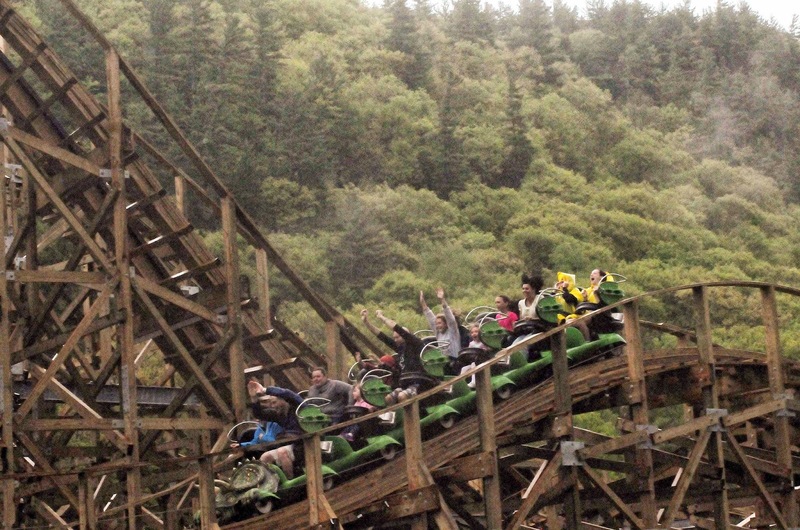 Lots of airtime throughout the ride, as these riders demonstrate. 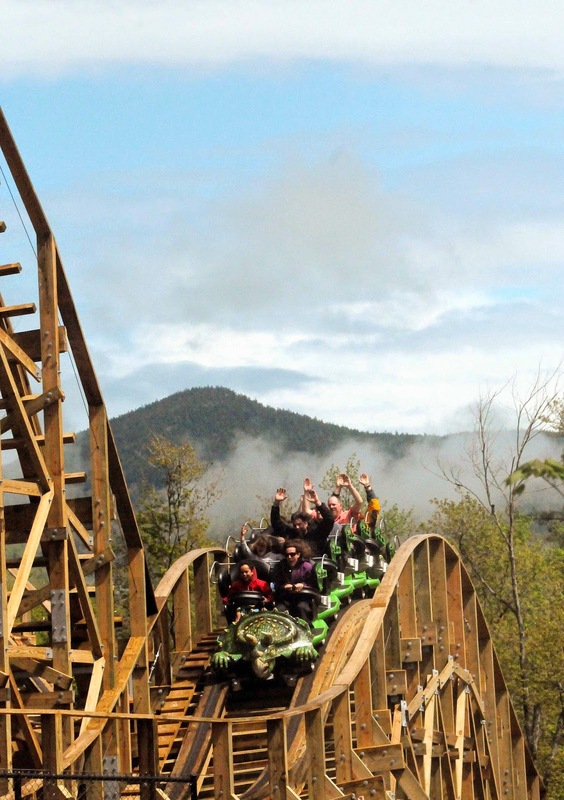 Even though this was only the second day the public was allowed on the ride, an amazing amount of brave riders passed on holding on. It was arms in the air all day long. 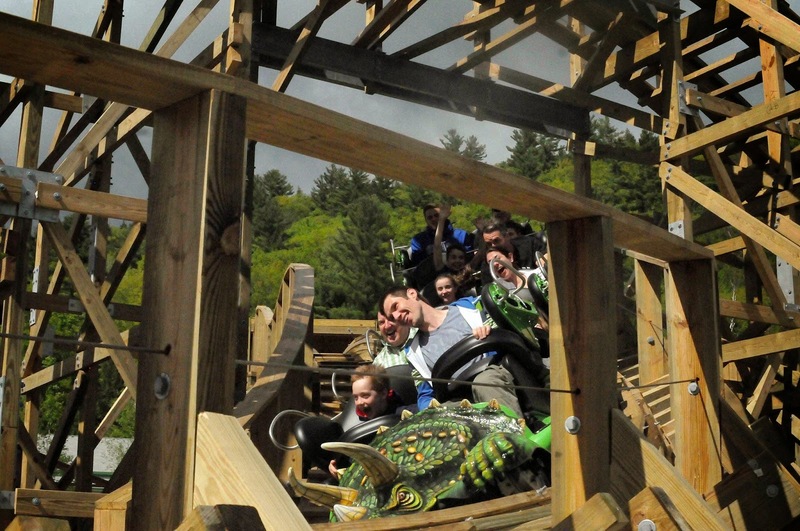 the Triceratops head on the front of the train busts out of the tunnel with a full head of steam. 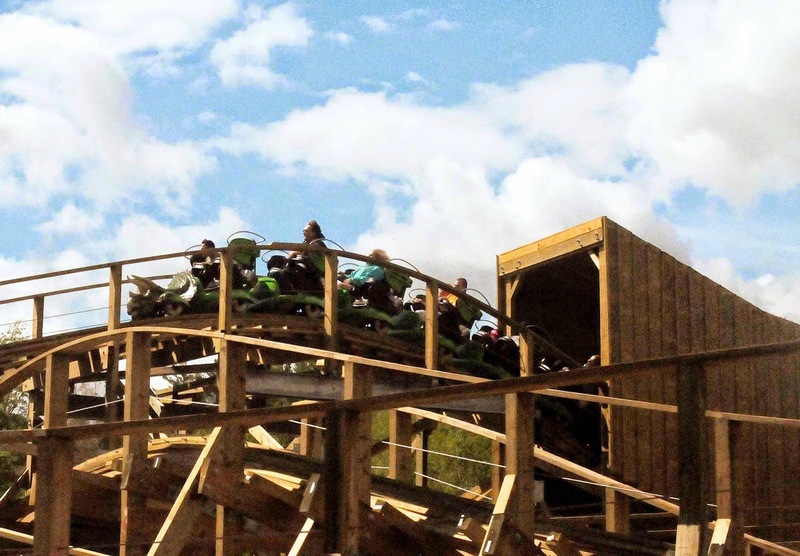 The coaster twists and turns around itself, and squeezes an impressive amount of track into a small footprint. 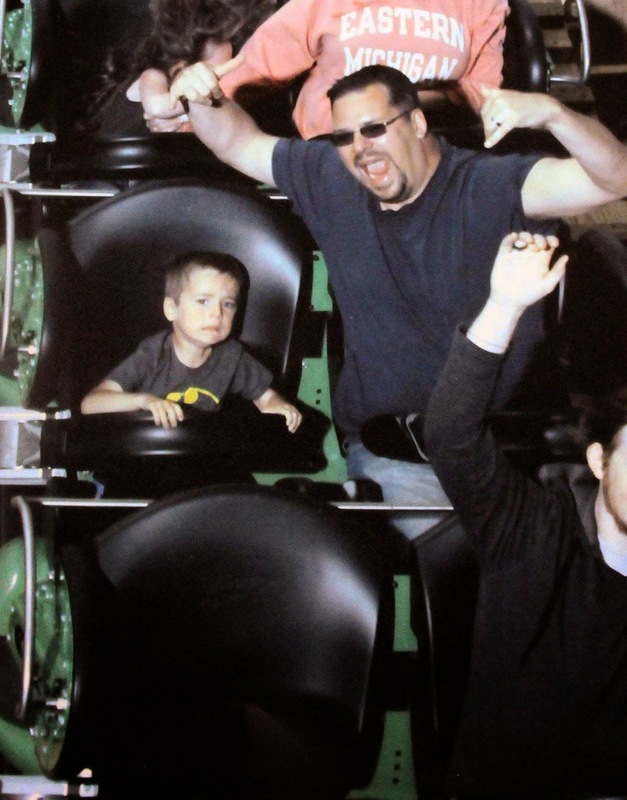 Here is spot you will want to smile for that on-ride photo, to capture forever a child's first big ride. The only straight track is around the station. The lift hill, the load/unload area, and the brake run before the station. Everything else changes at least one direction, and sometimes two simultaneously combining elevation and lateral direction changes. 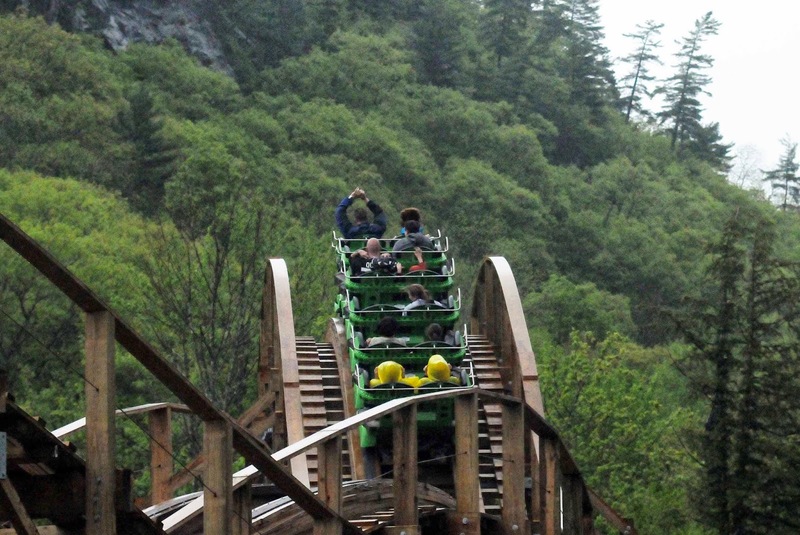 Here you can see the articulation of the train as it is twisted in two different directions on this section of the ride. 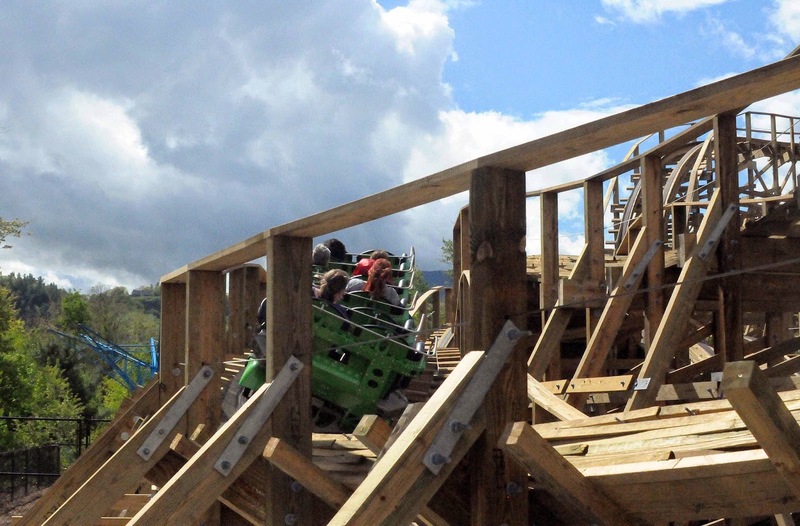 It demonstrates a major advantage of the Timberliner trains, allowing tight curves and action-packed layouts that don't require large areas of land and height to deliver big-time thrills. Here Chad Miller, one of the designers from The Gravity Group, talks about Roar-O-Saurus. 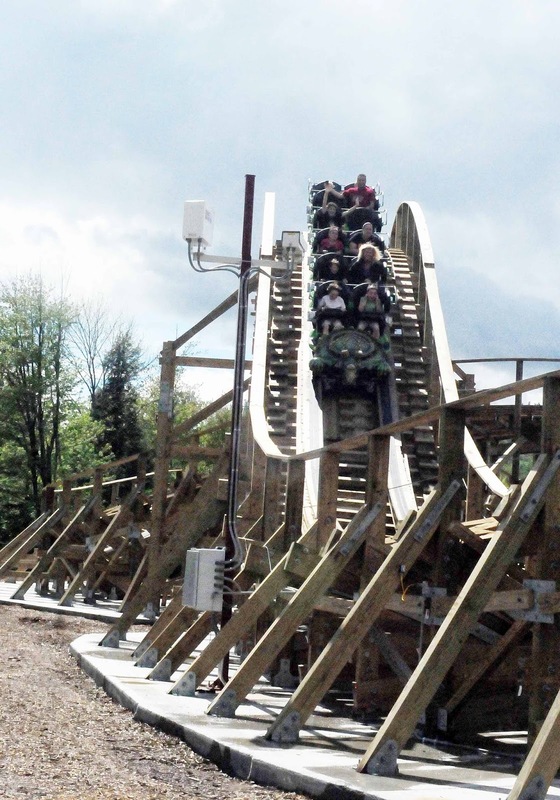 If every park had a roller coaster like this one, many new wooden coaster fans would be created every day, and parks would keep bringing us great rides like Roar-O-Saurus. Thanks again to Eric, Jack, the maintenance department, and Chad for their time during our visit to Story Land.